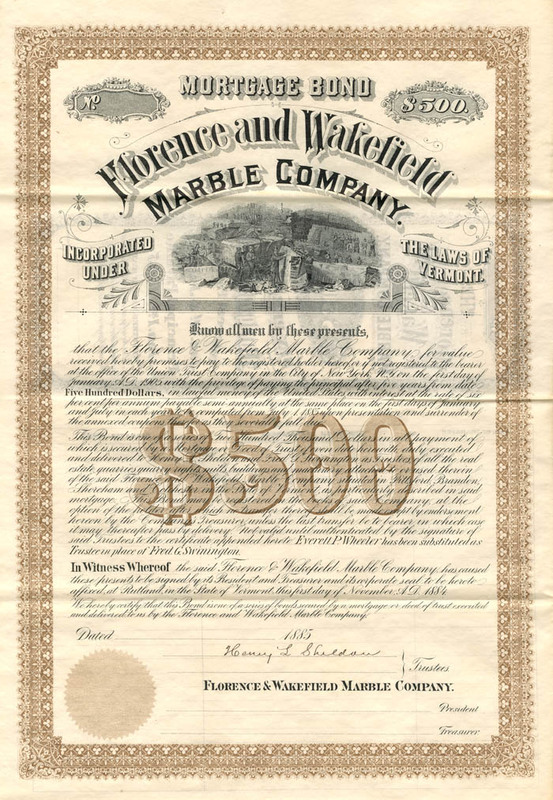 $500 6% Bond. All coupons remain. Pittsford, Brandon, Shoreham, and Colechester, Vermont.